It is with great joy that I present to you my little cousin in French, second cousin removed in the USA, and nephew in Rwanda: Igor Rwaka! It is with great joy and honor that I present to you my little cousin in French, second cousin removed in the USA, and nephew in Rwanda: Igor Rwaka! He has an avid curiosity for other cultures around him and an insatiable thirst for new knowledge. He is wise beyond his age, a great listener and critical thinker and he is well traveled. I know for sure that in the next five to ten years, our family will be privileged to say that we contributed to his awaiting successful career in the healthcare field. Rwaka came to Fargo because every Summer and Christmas vacation when we saw each in Kigali (Rwanda), I would tell him about the magical Red River Valley. He thought: “Fargo like the movie/TV series?” Rwaka being adventurous and a critical thinker, agreed to travel from Virginia, where he was in school, to come visit for a month and check it out for himself the wonders of our Fargo-Moorhead area. In Africa, we say that it takes a whole village to raise a child: I am honored and humbled to have been part of that village that made Rwaka the stellar gentleman that the world gets to call its proud global citizen. When I was growing, there was this television show that I really enjoyed called Smallville. It was a story about the city Smallville, it’s people (let us call them Smallvilleans) and Clark Kent (dubbed as Superman). For those who don’t know the show I am referencing, Smallville is a fictional city in the middle of Kansas. So, when Alex Cyusa, my cousin, told me about this Fargo place in North Dakota, my initial reaction was “isn’t there a show called Fargo?” to which he responded, with an eye roll, “Forget everything you know/think you know and come see for yourself.” A sentiment I am too well acquainted with since I have used it countless times with foreigners whenever I’d invite them to my home country…minus the eye roll. After regular invitations from him, I decided to visit “the flyover state,” and see for myself what others see from the sky. Fargoians were very warm and welcoming to me when I got here. By far, this is the place I have made friends the fastest. Trust me, I have visited cities on 4 continents, I know what I am talking about. My Facebook account could not keep up! Strangers invited me to their dinner table (more than once), brought out their China, shared a meal and played fun games. Those strangers later became my friends and invited me to explore the different fun activities in the Fargo-Moorhead area. I felt adopted in this community (literally, people started hitting on free apartments in town, others offered me a room in their homes). During the first day of my stay, someone was introduced to me, jokingly, by their name and the number of winters they had spent in FM area. The person was proud of that number, like a badge of honor of some sort. In my mind, I wondered if depending on the number of years they had been here, this conferred some sort of seniority in the community? People later explained that Fargoians are warm and welcoming to balance out the harsh winter I have heard about. Makes sense! Mind you, this is mid-July. 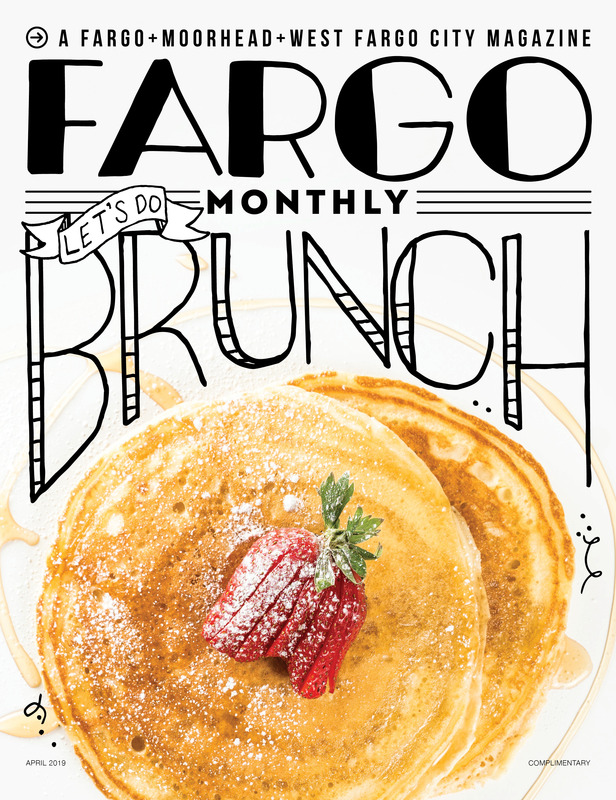 The winter might be half a year, but the warmness in Fargoians is yearlong. Whilst in town, I got the chance to attend the famous TedxFargo. This is a conference that brings together innovators, storytellers and the community to inspire one another and share ideas. I had been watching Tedx videos online for years now and attending one in person (sitting on the third row) was phenomenal. I laughed, cried and left very much inspired. My advice is, if you missed it this year, don’t make the same mistake again! One of the things that struck me about the area was how flat it is. Growing up in Rwanda, a country dubbed as ‘the country of thousand hills,” then going to college in a city nicknamed “the city of seven hills,” visiting Fargo has been a different experience. A good kind of difference. First, I can see Virginia all the way from Fargo, and the view is amazing. Especially at sunset. In the end, I think I like Fargo for the same reasons I liked Smallville. The people in Fargo are exceptional. Even though I hear the winters here are icy, the warmness of the people here melts it away (blame these people for the hot summer too). After my stay, I can officially say that I walked from North Dakota to Minnesota in 5 mins; I think that merits a World Guinness record entry! Now the only things are left is to find Clark Kent, and remove North Dakota from “flyover states” because if you are just flying over North Dakota, you are doing this flying thing wrong!